Qinghuayuan Railway Station (清华园站), just 4 kilometres (2½ miles) away from the Beijing North (Beijingbei) rail terminus at Xizhimen, will permanently close on 01 November 2016. This is as works for the Qinghuayuan Tunnel, part of the new Beijing-Zhangjiakou HSR, gets underway. The railway station, amongst one of the oldest in the Chinese capital, was opened in 1910, under the rule of then-Qing Emperor Xuantong. New high platforms were put into use in 2008 to accommodate Beijing Suburban Railway Line S2 trains. A few years later, a new waiting hall was opened (not big, but still of a respectable size). Train services, ticketing, and waiting hall facilities will permanently end starting 01 November 2016 at this station, and it will thus be closed to passenger traffic. However, the legacy buildings are likely to remain intact. All Suburban Railway Line S2 trains will in the meantime be diverted to Huangtudian, which can be accessed from Line 13 (closest station: Zhichunlu) by taking a northbound train to Dongzhimen, then getting off at Huoying Subway Station, leaving via Exit G4 to the interim terminus, 110 metres due south-east of this exit. All other Chinese national railway trains will be diverted to Changping North (Changpingbei) Railway Station, also accessible from Line 13 by taking a northbound train to Dongzhimen, then changing to a northbound Changping Line train to Changping Xishankou at Xi’erqi station, and finally exiting at Changping Subway Station for local Changping Bus Routes 32 to 66 until Changping Beizhan bus stop. 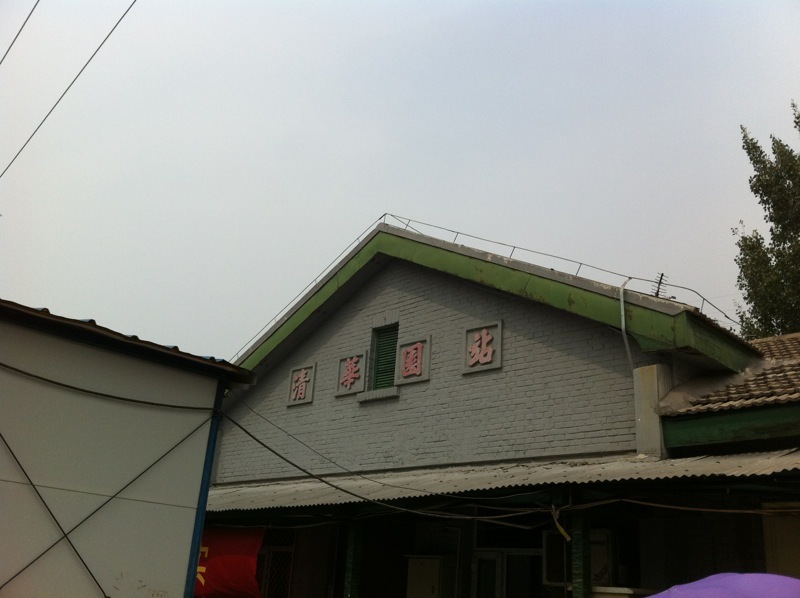 Qinghuayuan Railway Station is just off Dayuncun West Road, halfway between the crossing with Zhichun Road and the Northern 4th Ring Road (Ringway).